Passage of the U.P. 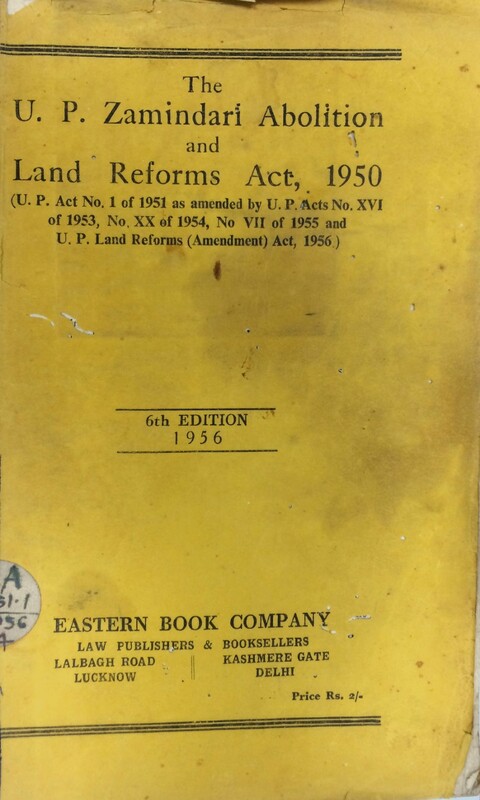 Zamindari and Land Reforms Bill which firmly establishes him as the representative of the village and of the peasant, and one he considered the principle achievement of his political life. Takes it on himself to popularize the bill in the villages by undertaking whirlwind tours of the entire state especially the Eastern parts where landlordism was widely prevalent and exploitative then in West UP; by making over a score of speeches over All India Radio on the subject; and writing several articles in newspaper in support of the ZALR. Appointed Minister of Revenue and Agriculture (two inter-linked and critical portfolios) on 20 May 1952 until 27 December 1954. The patwaris, front-line revenue employees of the state with grievances about their terms of employment, launched a statewide strike to pressure the Government with covert support from the landlords. 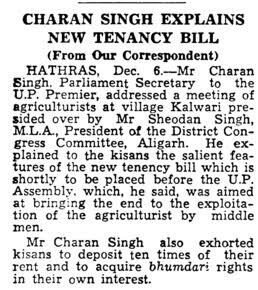 Charan Singh refuses to give in to their coercive demands and establishes his reputation for swift action and strong administrative capabilities by dismissing from service all the 27,000 patwaris. In place of the patwaris, he creates the posts of Lekhpal answerable to the elected village bodies and issued instructions to recruit 18% from the Scheduled Castes communities though in the absence of qualified candidates only 5% of Scheduled Castes could be appointed as Lekhpal.